Alana has loved looking after animals ever since she can remember and always dreamed of becoming a Veterinarian or Veterinary nurse. 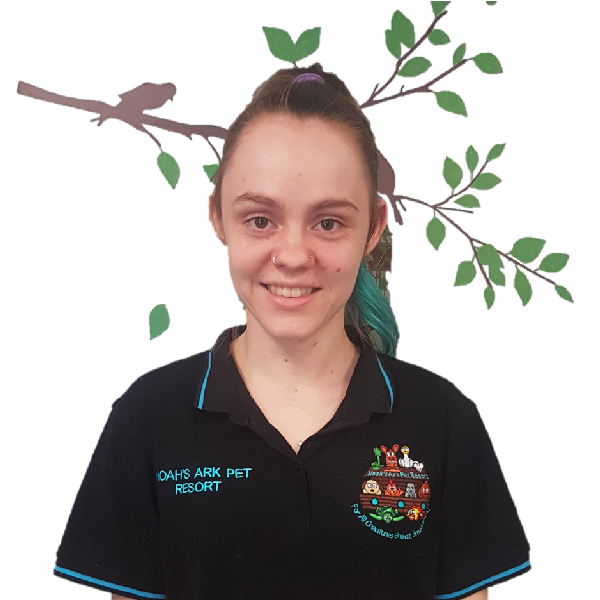 Taking in & rehabilitating orphaned and injured birds since age 9, Alana’s interest in animals and their welfare has since flourished, with Alana owning a menagerie of pets, from birds to guinea pigs, turtles and dogs. Following graduation from high school, she completed a Bachelor of Science, majoring in Zoology and Animal Behaviour. She then enrolled in a Veterinary nursing course at the Veterinary Nursing Resource Centre at Samford. Whilst studying, Alana worked as a trainee veterinary nurse at a busy dog & cat clinic and within a year, became the head veterinary nurse, enjoying the associated challenges and increased responsibilities. Following completion of her veterinary nursing certificate, Alana then went on to enrol in a higher level nursing certificate. Although Alana loved working with dogs and cats, she yearned for a change, something a little out of the ordinary. In early 2007, Alana applied for an exciting position as a veterinary nurse in a unique, newly established bird & exotics veterinary clinic in South Brisbane. She was the first nurse to work in the clinic and eagerly accepted the role of head veterinary nurse as the clinic began to grow. 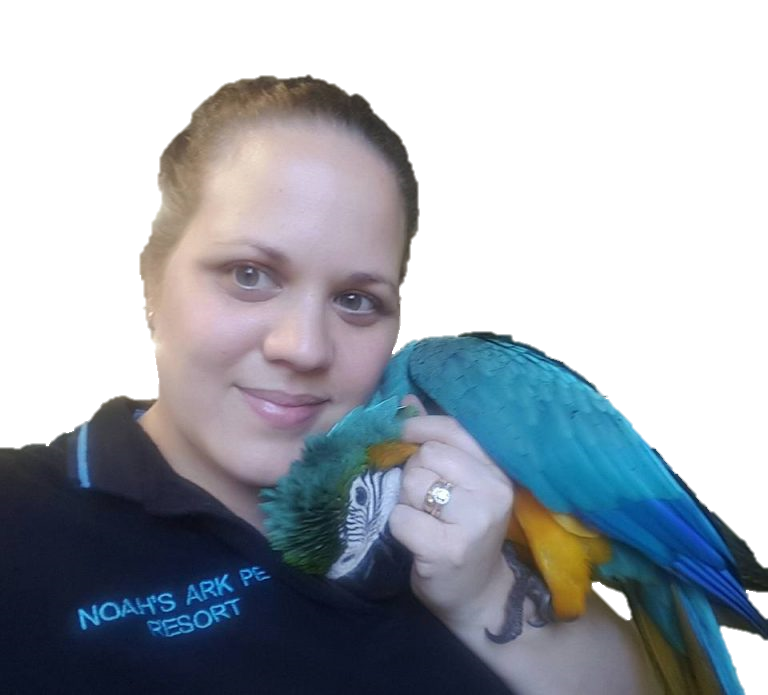 Working alongside a specialist trained Veterinarian, Alana gained extensive knowledge on the proper care and husbandry of birds and exotic pets. As these unique pets increased in popularity, so did the demand for somewhere that boarded them. 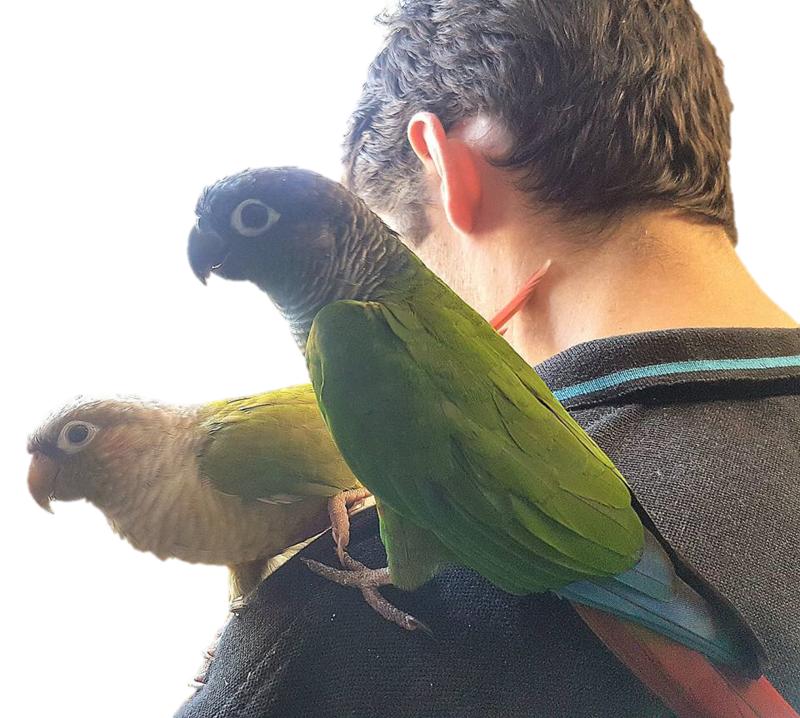 Alana could not ignore this increasing demand, so she made the tough decision to leave her much loved workplace to embark on a new journey…Opening up the first ever Boarding Resort specifically catered to birds and exotic pets! 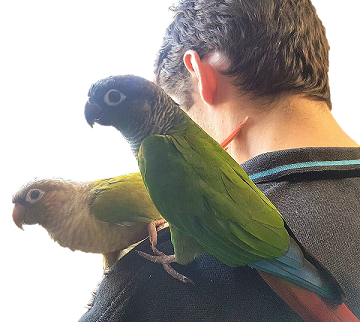 Alana adores her newly found career and could not think of a better way to spend the day than caring for your feathered, furry and scaly friends. Megan has been with us since September 2015 and she loves her job here! Prior to this, Megan undertook a Certificate 3 in Animal Studies which she thoroughly enjoyed. She loves learning about all our wonderful guests and enjoys coming to work every day to look after our client’s beloved furry, feathered or scaly family members. Megan is a huge animal lover who plans to be a part of the team for a long time to come. She loves meeting all our special guests and takes comfort seeing how much everyone cares for their own pets. Megan looks forward to a long career in the animal industry and meeting all of our wonderful clients! Aleesha has joined us from overseas! She’s a Canadian with an immense love for all animals great and small. In Canada, Aleesha submersed herself in Animal care. From a very young age, she was always surrounded by animals, from owning cats, dogs, rats rabbits, iguanas and even a Sulphur Crested Cockatoo. Aleesha become a veterinary assistant in Canada and during her studies volunteered with greyhounds, cat shelters, and a reptile zoo. Even while working full time at a fast paced veterinary hospital for 3 years, she volunteered her weekends at “Hope for Wildlife” (a wildly famous rescue and rehabilitation for sick and injured wildlife in Nova Scotia). Her love for Birds of prey was very pronounced and Aleesha would take them for walks along the farm on her glove (her favourite pastime). 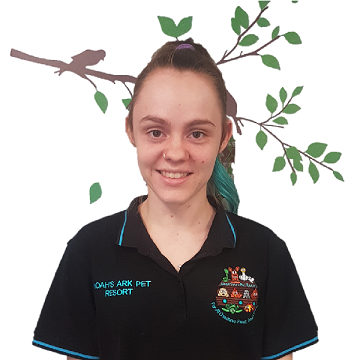 Since moving to Australia, Aleesha has spent some time volunteering at the Australian Bat Clinic and when she found us at Noah’s Ark, she knew it was the perfect fit! Aleesha loves interacting with all the animals and of course has a particular love for the birds. She knew she had to get one of her own, so when Aleesha’s not at work, she’s socialising with her little Quaker baby named ‘Oatsey’. Aleesha has a great passion and keen interest in all animals, no matter the species. She’s very excited to be a part of the team and looks forward to meeting our clients and their darling feathered, fur, or scaley babies. Louise has worked for Noah’s Ark Pet Resort since 2012. She comes to us with an extensive knowledge & experience from working within the Animal industry for 20 years. 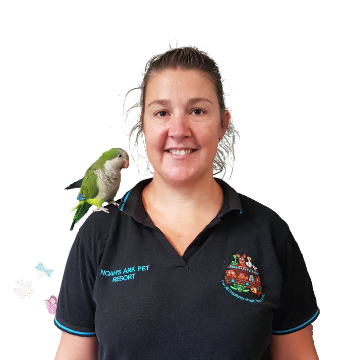 From an early age, Louise has always had a love of animals & firstly started out working as an animal attendant in a kennel & cattery. Since then, Louise has become a qualified certificate 4 Veterinary Nurse & worked with many different animals, from farm animals to domestic pets, even being a wildlife carer raising baby possums & gliders. 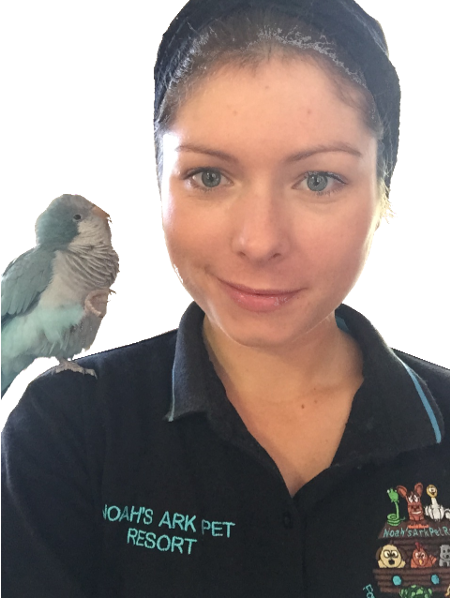 Just before joining the team at Noah’s Ark, Louise was fortunate enough to work at a specialist Bird & Exotics vet, where her love & knowledge for all the feathered, scaled & furry critters grew. When Louise is not at work spending time with all of our clients’ precious babies, she likes to spend time taking care of her 2 dogs, Zala, a Bull Mastiff & Podrick, a French Bulldog, along with her two Bengal cats. It is rare moment that Louise is without any guinea pigs, which she has a great love for 😀. 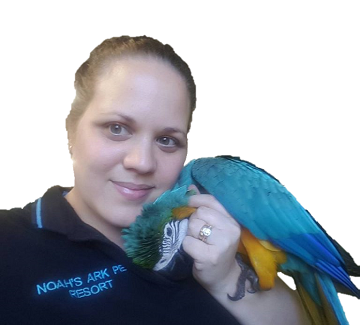 Louise thoroughly enjoys being part of the Noah’s Ark team & looks forward to meeting & pampering all our beloved guests. Liam has grown up with animals and has had numerous different pets; including budgies, quakers, galahs, mice, dogs, a mini goat and a mini horse. Liam is responsible for all the electronic aspects of Noah’s Ark Pet Resort, including this website. You may also see Liam helping out around the resort, especially during our busy times.